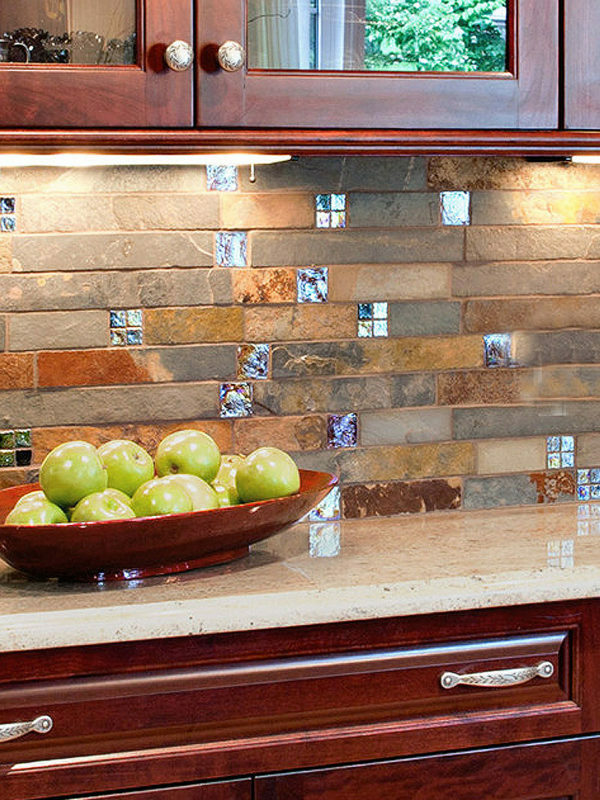 The gem of home remodeling, marble mosaic tile backsplash breathes new life into the kitchen or bathroom space while at the same time keeping the cost of upgrading down. With the best designs and artistic imaginations, you can create one of the best cooking spaces in the home. With a little inspiration, you could come up with the best kitchen backsplash ideas to make your kitchen homey and fully functional. Item Code : MT45056 – Price: $35.00 sq.ft – Processing Time: 2-5 Business Days, Please call us for placing order. The magnificent pattern of this white and gray marble backsplash tile speaks volume yet without words. With it water jet cut convention countertop taking the center stage, this design simply makes your kitchen a relaxed haven and reflects a classic finish that is both functional and beautifying. The custom water jet cut white marble backsplash in this kitchen gives a stylish allure that is only evident in the palaces. Whereas the patterns bring the memories of the ancient cave inscriptions, the white marble backsplash and countertop brings in the attraction of the modern day kitchen, which is a perfect harmony in style. Photo Credit | Arch Studio, Inc.
A bold pattern of white and gray mixed marble backsplash and brown granite countertop conveys a stunning style in this breathtaking kitchen. The vibrant backsplash tile designs combining with the spotless white kitchen cabinetry dramatically gives the kitchen a relaxed feel and a modern-day style that is not only ideal for the protection walls but also a cheerful aesthetic feature. This entry was posted in GRAY, MARBLE, MOSAIC, TUMBLED HONED, WATERJET, WHITE. Bookmark the permalink.